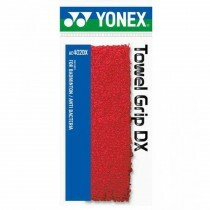 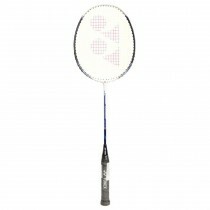 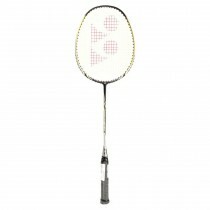 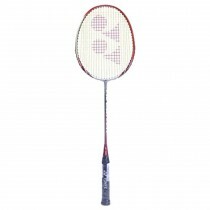 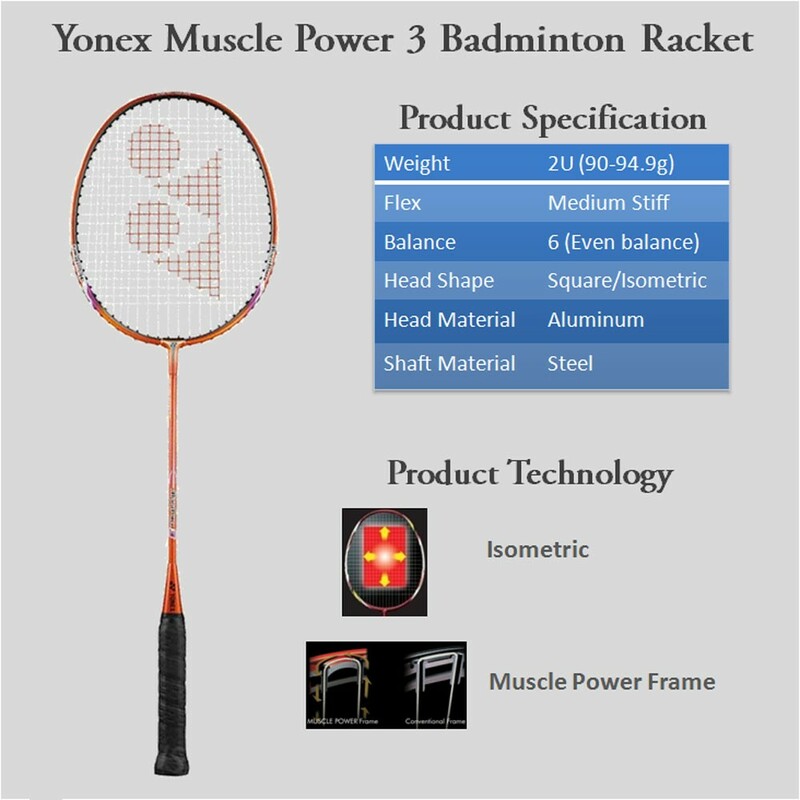 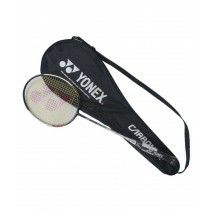 Yonex Muscle Power 3 Badminton Racket ;The Muscle Power FRAME has carbon shaft which gives high levels of repulsion.And it's Isometric Square Head Shape equalizes the length of main and cross strings in the string bed, that enlarges the area of the sweet spot for more consistent accuracy even on off-center hit. 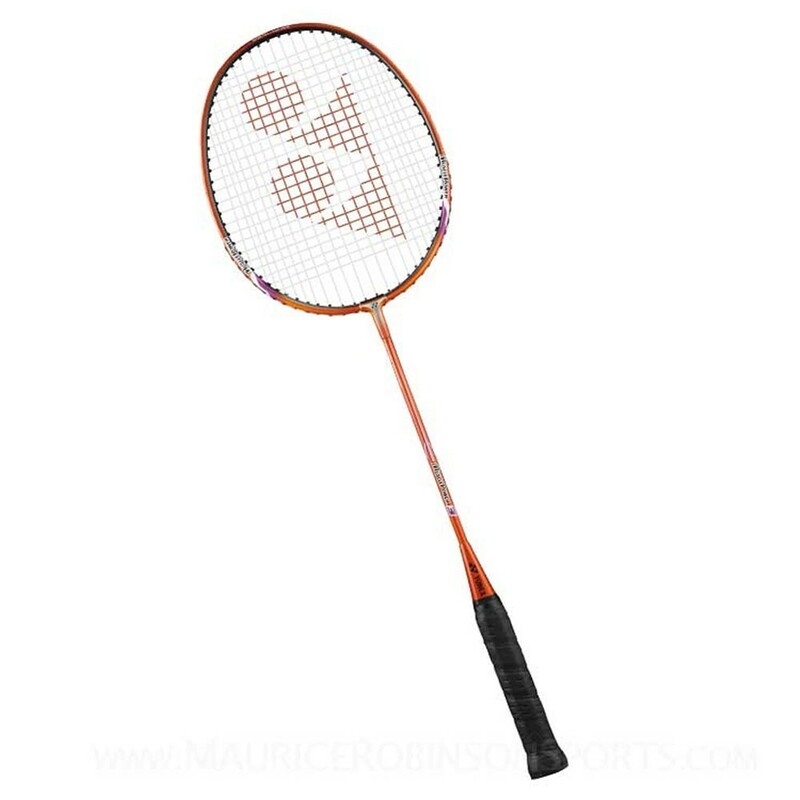 Muscle Power rackets provides a frame which locate the string on rounded archways which eliminates the stress concentration and fatigue. 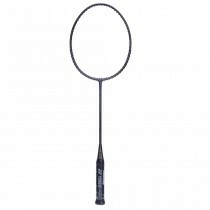 And this arrangement of frame gives the unity on string.